Includes 4 courses for $199/year. The full course is 24 minutes long and available in a number of affordable formats. 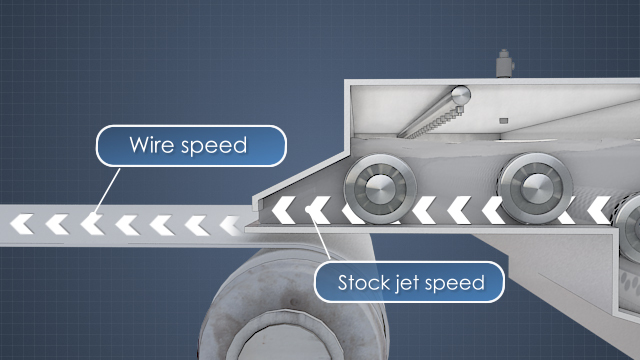 Coordinate the speed of the stock jet with the speed of the wire. 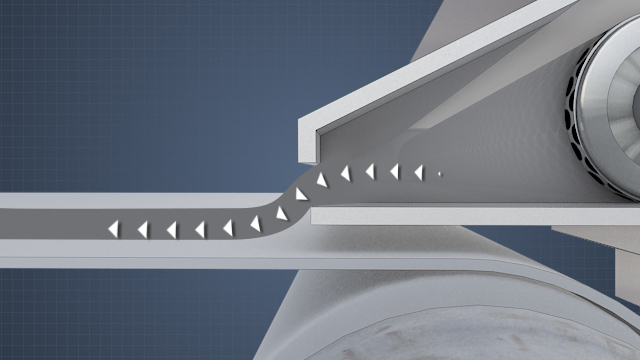 This relationship plays a major role in sheet formation and fiber angle. 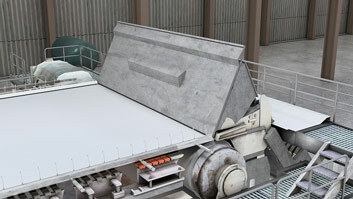 The slice lip can be deflected by actuators to adjust the weight profile of the sheet. Velocity forming is more desirable than pressure forming. An air-padded headbox is a piece of equipment that is designed to deliver a constant, uniform flow of stock to the Fourdrinier wire at the desired speed and location. The headbox has several design elements, including a perforated plate or tube bank and rotating rectifier rolls, that are designed to create and maintain turbulence to keep the fibers dispersed up to the slice opening. This is important because the design and operation of the headbox are critical to the quality of the sheet produced on the paper machine. Define "total head," "jet to wire," and "rush/drag"
What are the four basic functions of a headbox? 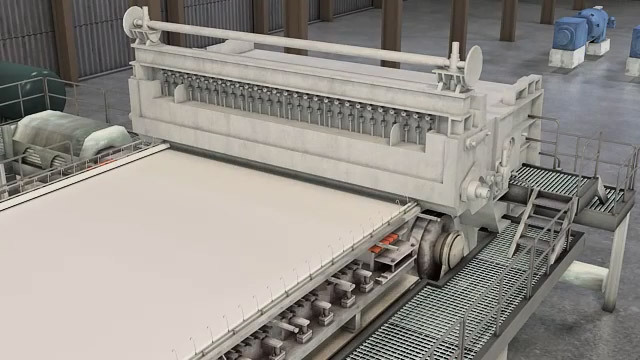 To deliver the stock uniformly onto the forming fabric in the cross-machine direction and the machine direction, create controlled turbulence to reduce fiber flocking and develop uniform fabric distribution, coordinate the speed of the stock jet with the speed of the wire, and to ensure that the flow of stock from the slice opening strikes the wire at the correct angle and location. What is the purpose of the headbox? 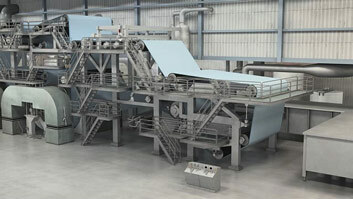 The purpose of the headbox is to distribute the stock onto the Fourdrinier wire to form the sheet. 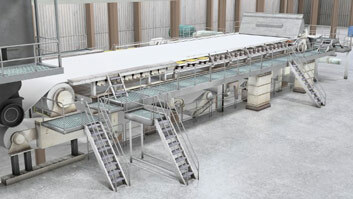 There are several components inside an air-padded headbox that are designed to distribute the stock evenly across the machine and generate turbulence to keep the fibers dispersed. What is the primary function of the flow spreading device? The primary function of the flow spreading device is to evenly distribute the stock across the width of the headbox and the machine. Other flow spreading devices are also in use. What are rectifier rolls and what do they do? 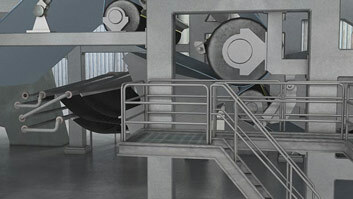 An air-padded headbox contains rotating, perforated rolls, call rectifier rolls. 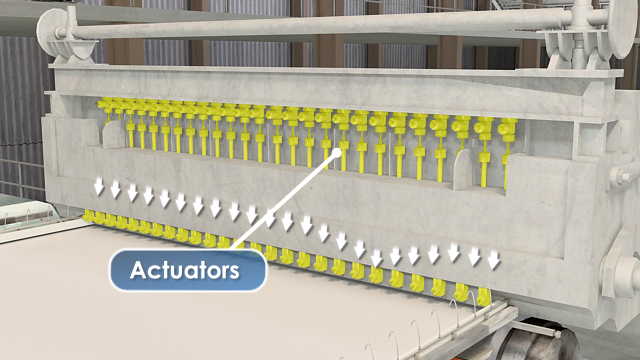 The stock flows through the holes of the rectifier rolls, generating a pressure drop that dampens out large-scale turbulence and evens out the velocity profile across the headbox width. How is the air pad maintained? The air pad inside the headbox is maintained by a source of pressurized air. The source can be mill compressed air or a dedicated air compressor for the headbox. The pressurized air is piped to the top of the headbox and regulated to maintain the stock level inside the headbox. 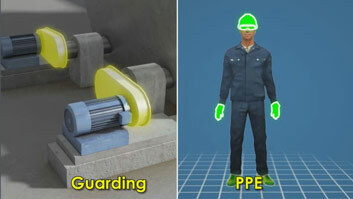 A headbox has four basic functions. One, to deliver the stock uniformly onto the forming fabric, also called the wire, in the cross machine direction and the machine direction. Two, to create controlled turbulence to reduce fiber flocking and develop a uniform fiber distribution across the wire. Flocking is the tendency of fibers to clump together. Three, to coordinate the speed of the stock jet with the speed of the wire. This relationship plays a major roll in sheet formation and fiber angle or orientation. Four, and ensure that the flow of stock from the slice opening strikes the wire at the correct angle and location.